Power Jet | Alpine Products, Inc. 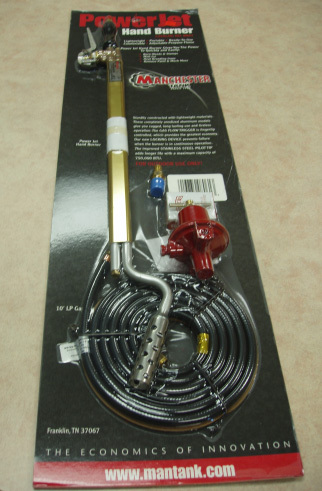 Bubble pack contains Power Jet burner with stainless steel pilot tip, flame control trigger valve, 0-100# pressure regulator and gauge, 10 ft. U.L. Listed propane high pressure rubber hose, excess flow POL valve, anodized aluminum tubing. Instructions.